Discover out-of-the-way places like Kryal Castle and Ballarat Wildlife Park. Popular historic sites such as St. Patrick's Cathedral and Barwon Park are in your itinerary. 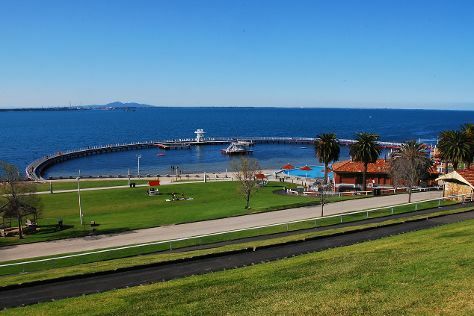 Venture out of the city with trips to Eastern Beach Reserve (in Geelong), The Gold Museum (in Ballarat) and Castlemaine Diggings National Heritage Park (in Chewton). There's lots more to do: engage your brain at Australian Centre for the Moving Image, examine the collection at Scienceworks, learn about winemaking at Sedona Estate, and tour the pleasant surroundings at Bells Beach. To see other places to visit, where to stay, reviews, and other tourist information, refer to the Melbourne trip itinerary planner . If you are flying in from Malaysia, the closest major airport is Melbourne International Airport. Expect a daytime high around 16°C in August, and nighttime lows around 6°C. Finish up your sightseeing early on the 8th (Sun) so you can travel back home.